Creative and Sustainable Design for both residential and commercial interiors. Laura Fedro has 25 years of professional residential and commercial interior design experience. She comes naturally by her design skills: Her great, great grandfather was a well known landscape designer in Sweden, and she cherishes his design journals, filled with beautifully rendered watercolors and detailed landscape plans. Both her mother and aunt were early influences with their love of interior design and fashion, and many days were spent hunting through antique shops in rural Iowa. Laura graduated with a degree in interior design and immediately began designing interiors for the nationally renowned firm Skidmore, Owings and Merrill in San Francisco. She was a designer for Ralph Lauren in NYC and for Herb Newman and Associates in New Haven, CT. She founded her own design firm in Bozeman in 1995, became nationally licensed by the National Council of Interior Design Qualifications (NCIDQ) in 1998 and has been a member of the American Society of Interior Designers (ASID) since 1985. Specializing in Interior Design with an emphases in Architecture Interior architects work with interior structure and surfaces, coordinating all of the elements that make up an interior space; from walls and windows to color, lighting, furnishings and textures, everything that makes up what they call a “total space. 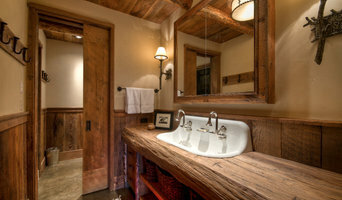 Gallatin Valley Design Group brings an innate advantage to your design project. We provide our clients with an unmatched blend of design talents, at-your-fingertips resources, and an architectural edge from concept to finished space. Our experienced, approachable team specializes in pairing fresh design perspectives with our clients vision to create the perfect living space. Our design Philosophy & Approach is simple; Collaborate, Inspire, Create and Deliver. We begin with getting to know you, your vision, and your goals. Once we’ve developed an understanding of your ideas and objectives, we start a process of collaboration and planning to create a space both timeless and unique. 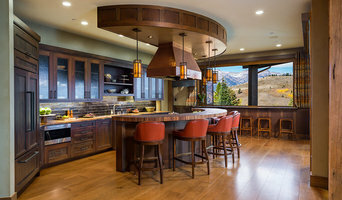 Gray Designs, a full service residential interior design firm located in Bozeman, Montana, has the knowledge, experience, and ability to create an interior that is right for you. Our philosophy is to incorporate your needs and vision into the project plan from the very beginning while keeping with the functionality of the space. 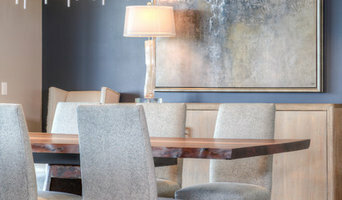 Full-service interior design firm offering innovative, yet timeless design ideas, exceptional project management, along with a showroom full of furniture, artwork and accessories. I often find myself telling clients to trust their instincts on what they are drawn to. Then, allow me to make everything come together for them. “Your home should tell the story of who you are and be a collection of what you love.” - Nate Berkus Anybody that knows me knows that I am the consummate homebody. My favorite times in life are alongside family and close friends, entertaining, organizing, playing and all around nesting at home. In the evening, I find myself walking around the house lighting candles, turning on lamps, adjusting the glow of overhead lights, and fluffing pillows to set the mood. I have been known to “surprise” my mom with a pantry organization or hang a friend’s art over a glass of wine. Just as I approach my home, and homes of friends and family, I strive to achieve a status of ultimate comfort and organization for our clients. Many of our clients come to Big Sky searching for inspiration and recreation set amongst the mountains. Their home is the epicenter of that experience. We create inviting spaces for them to call home. A place that comforts and contains amazing memories yet inspires them to get out there and enjoy every single day under the Big Sky. Every one of our clients goes through a very individualized design process. I take cues directly from each client's personality and comfort level. I am excited to bring my education, experience, and style into every project and I look forward to helping you build your version of comfort and inspiration. 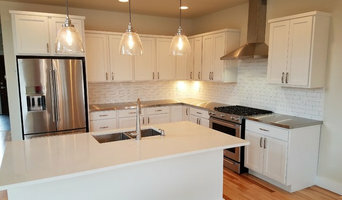 Here to assist in finding the cabinetry that suits your personality and lifestyle. Everywhere from the garage to the kitchen.